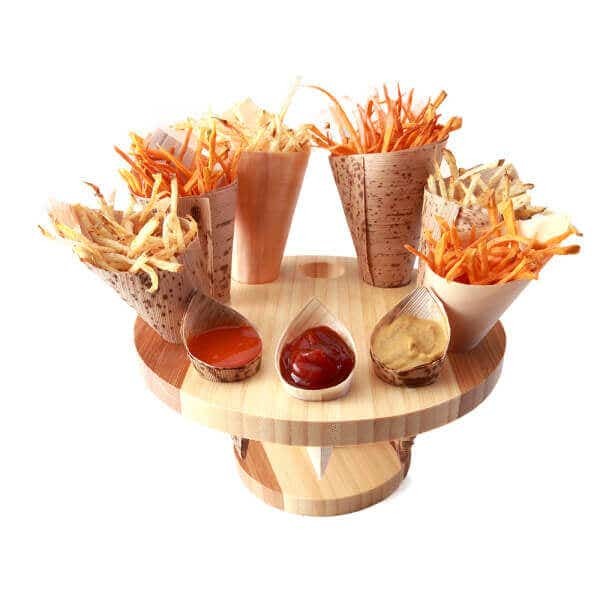 Food cones are perfect to use as hand held canape holders, small sized appetizer dishes, bite sized dessert vessels and much more. They are made from beautiful material thus making these cones classy and elegant. 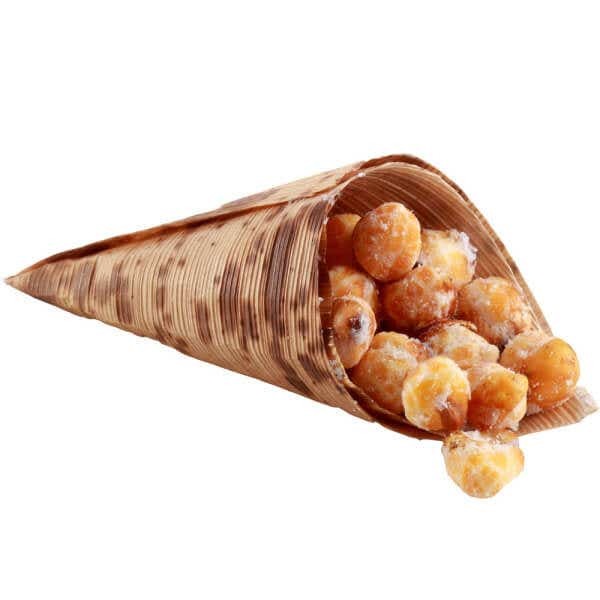 Food cones are ideal for serving nuts, fruits, popcorn, fries and a variety of other culinary treats. These cones are meant to be used in restaurants, catering events, bars, hotels and any food setting where the chef needs a special spot to put their yummy culinary creations. Food cones are also eco-friendly, which means they are great vessels to use in establishments where “going green” is a priority and of great importance. This food cone makes a fantastic canape holder. There are many modern cones at Restaurantware, you will have no trouble finding the “perfect” cone for your particular function. Here is also a tasty canape recipe for you to use in your favorite food cone holder. Sunflower Oil, for frying, you could probably use other oils, never tried it though. Put the potatoes in water, bring it to a boil, add quail eggs and haddock, cook the eggs for 2 minutes, then take them out of the water and run under cold water to stop them from cooking. Continue cooking the haddock and potatoes until fish is flaky and potatoes are soft. Once fish and potatoes cook, take off heat and drain them. Add milk and butter and smash potatoes, fish, milk and butter together until you have a thick mash, set this aside. Peel the eggs, then take a some of the mash mix and form it around your eggs, making sure the egg is completely encased with the mash mix. Now, dip the molded eggs into the flour, beaten egg and bread crumb, place them on a sheet pan or in a flat dish, chill them for at least 1 hour so they can set up. When you are ready to serve, heat up your oil, then fry chilled eggs until they are browned on all sides, take out of oil and place on plate that you have covered with a paper towel or kitchen towel. Serve eggs in a classy and sophisticated food cone canape holder. Remember, food cones are great for appetizers, desserts, canapes and so much more, hope you enjoy. Food cones are featured here in a charming cone stand, looks fabulous, right?